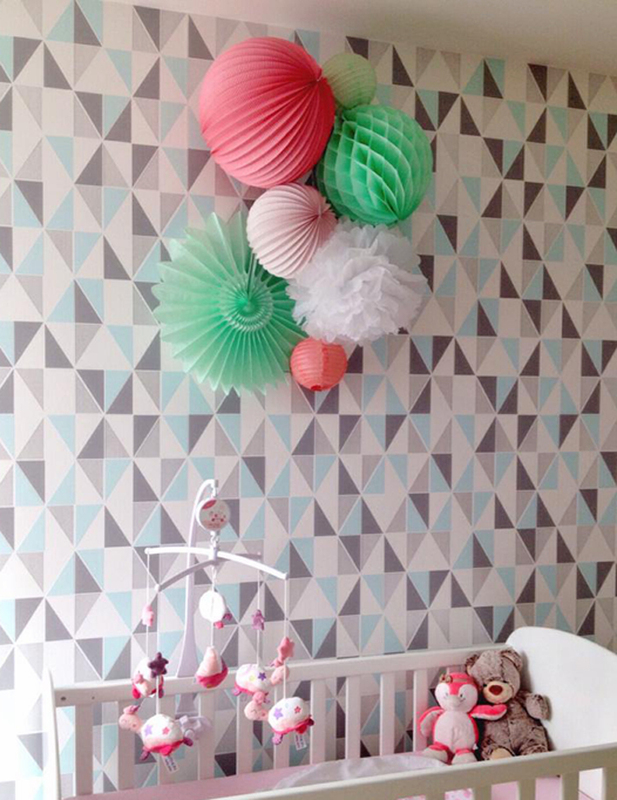 What a lovely decor for baby Lola’s nursery! Nothing beats the combination of a graphic wallpaper and a colorful cluster of lanterns. The result is brilliant! 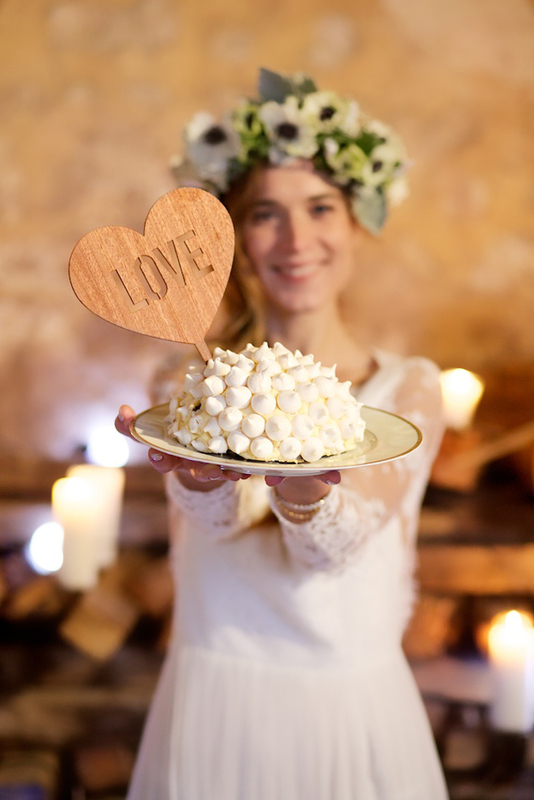 Shop our wedding lanterns in our store ! One of our favorite things about our product is that you can use a small number of pieces or a large selection and create something beautiful and surprising every single time. One of the major reasons why these grouping always look so great is that Alix curate the colors so carefully every season and even offers a personal touch by helping you assemble the perfect palate. Sometimes you guys really impress us with your own choices and we love to share the photos! Hint hint, SEND US YOUR PHOTOS and TAG US #underthepaperlantern. Pretty please with a lantern on top! Please still love us even though we make terrible jokes! We just can’t stop ourselves. 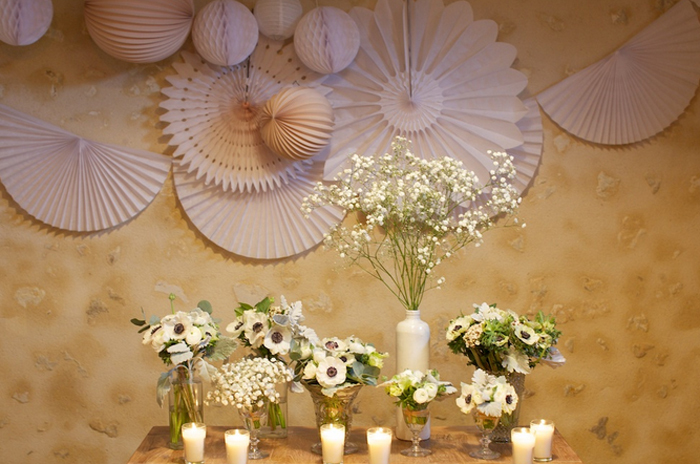 With at all that being said, we LOVE just love what Coralie did with these little groups againt the stark white of the wedding tent. She made sure to place a little fun above but let the tables be the focal point for the reception. For more information about colors please visit our store or ask us a question if you dont see it in our FAQs! Comments Off on Perfect Pops! Love Me, Love Me, Say That You Love Me…. 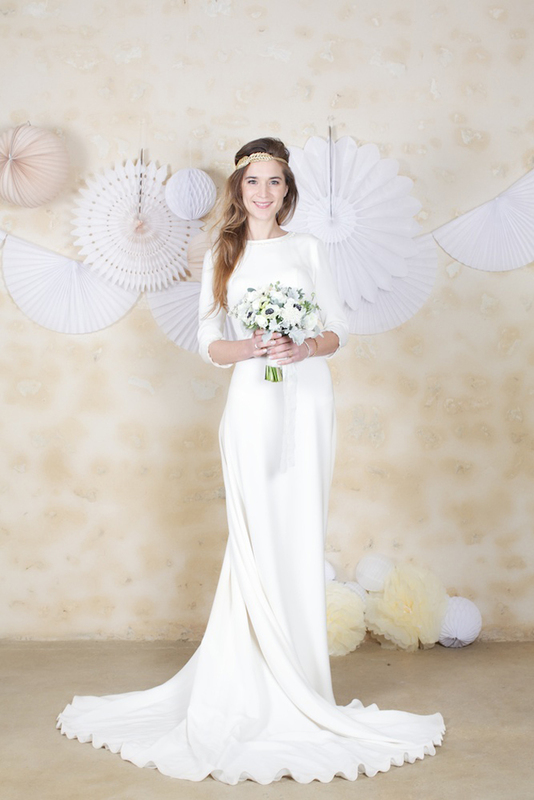 The Maison POIRAY recently opened a boutique dedicated to brides and grooms. With a boudoir layered in pastel shades it was the perfect– ahem –marriage to our accordion lanterns, paper fans and pom poms in this gorgeous soft palate. Match made in heaven. For more information about the pieces that made this collection really work, contact us! We would LOVE to create a custom palate for you. 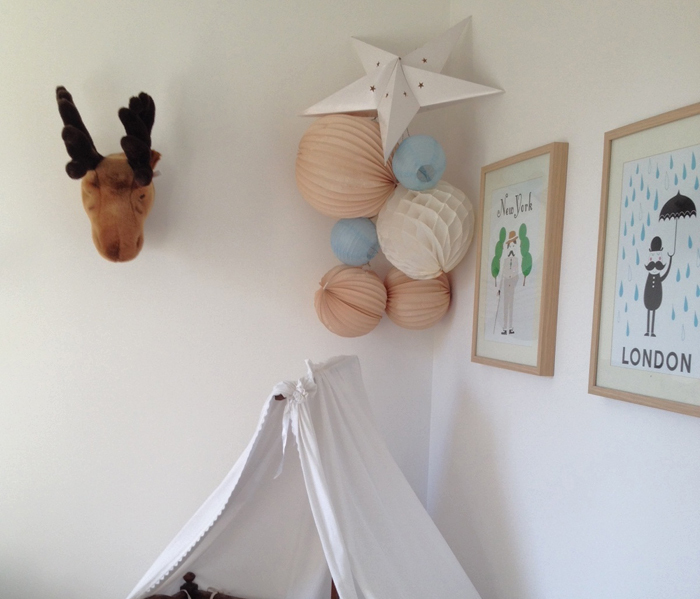 Thank you to Anne-Laure who’s sharing with us some pictures of her super cute baby Anna’s nursery! 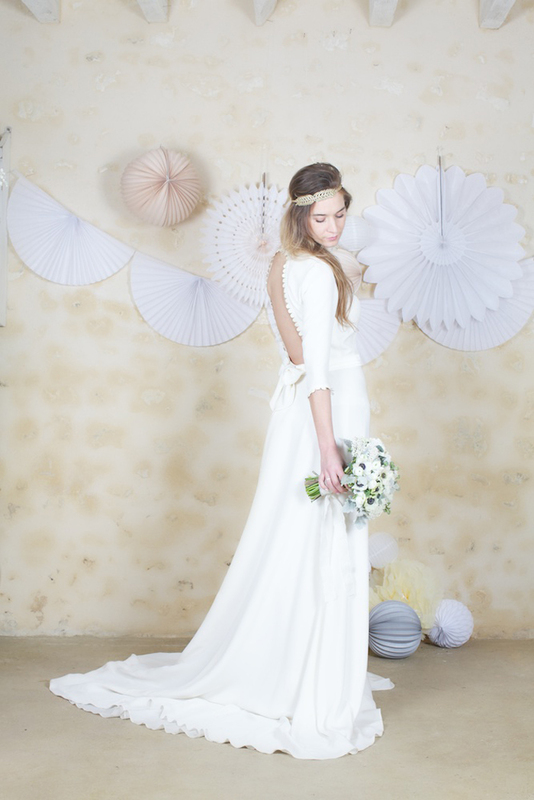 Shop our paper lantern boutique to get this look! 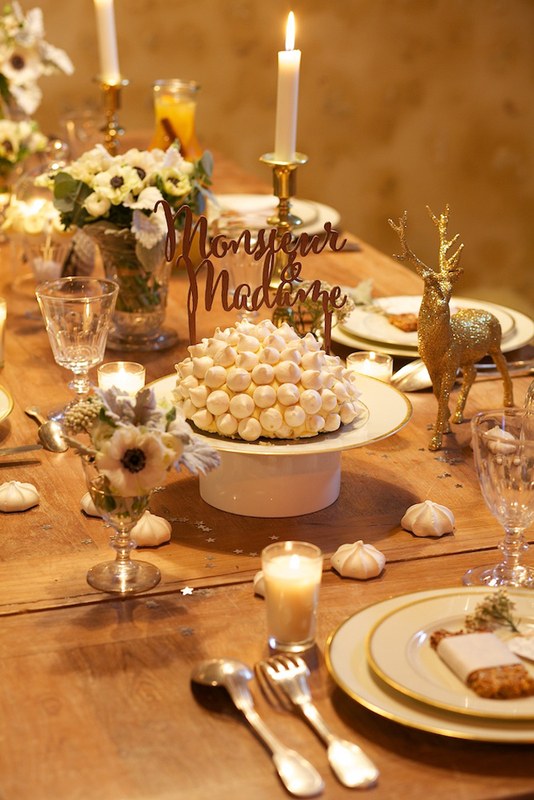 We’re lucky to be featured on this super pretty photo shoot put together by talented Hélène from Les Herbes hautes (florist) and Marie Préchac (photographer) supported by many other artists. All products are available in our boutique ! Welcome to little Marius’ nursery. 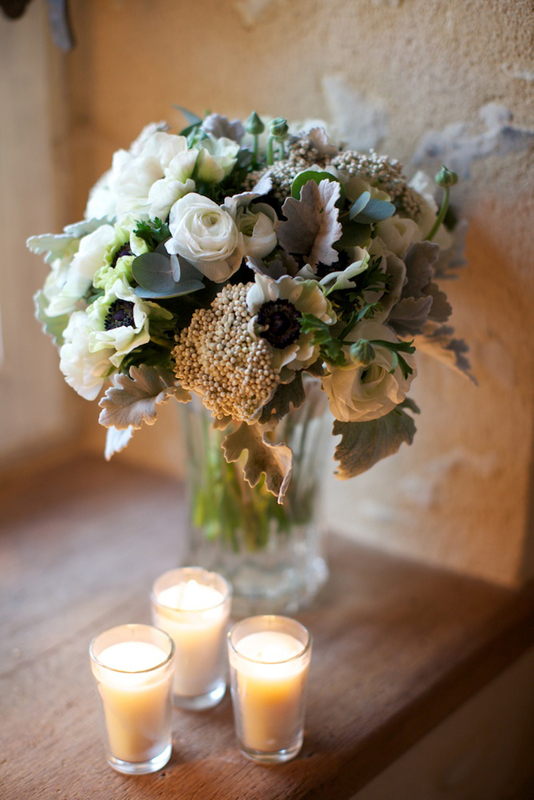 A simple grouping of lanterns in soft tones of sugar blue, Latte and white. We love how the blue is a nod to Marius, while the neutral colors couple well with the adorable Moose head and the wood on the frames of the prints. Shop this décor in our boutique ! With the perfect mix of modern lines and fun textures this is how to decorate a birthday party when your interior is already so stylish and full of character. 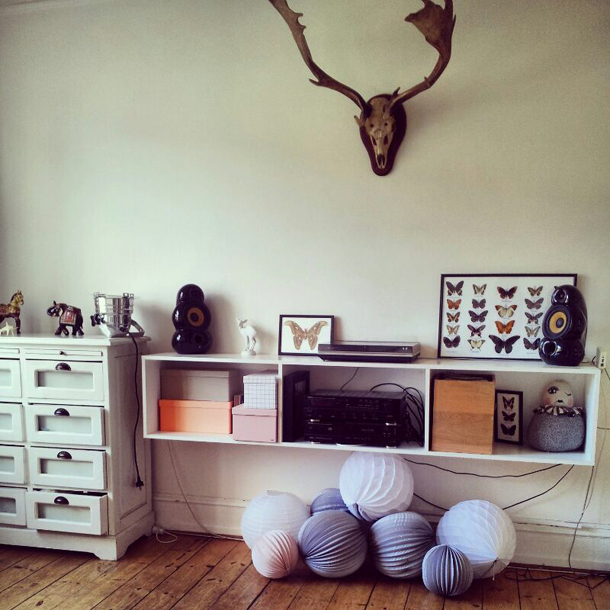 Check out what one of our favorite clients did for her birthday celebration in a beautiful apartment in Stockholm. 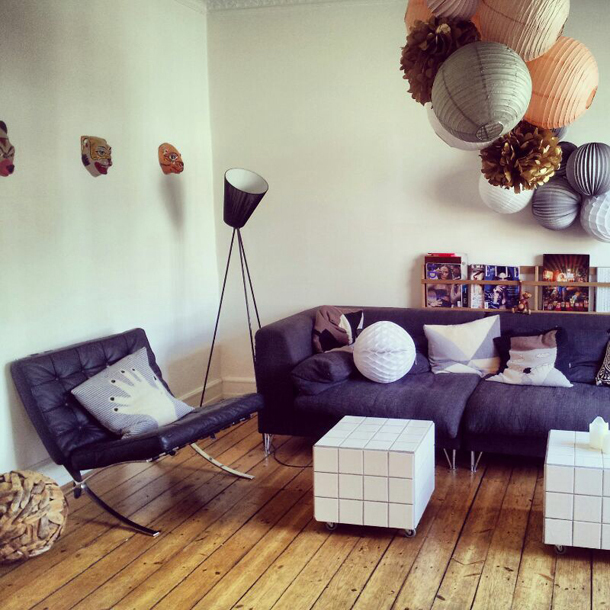 She created a paper lantern chandelier and hung it from the ceiling and extended it to stick to the wall, and few paper lanterns, honeycomb balls and accordion paper lanterns simply put on the floor… Stylish, contemporary and best of all, FUN! Check out our products if you want to create a similar set up !